hello everyone! 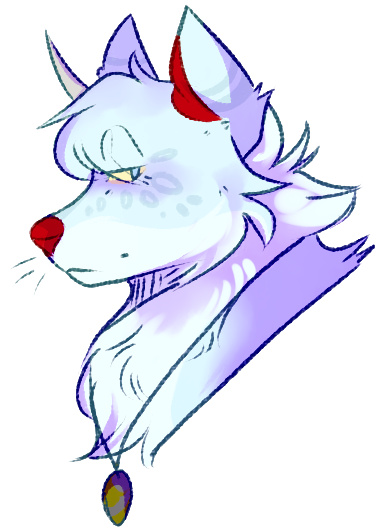 my name's lobotomutt/mutt and i've,,, come back to last moon after being on it for a while a real long time ago. i forget what my username was, but it was quite some time ago (before penguins were put in game). i was also on impressive world and i think dragon's den? i'm not entirely sure. it's likely my username was something along the lines of megakitteh or ultrakitteh- or i just went by kitteh as a whole. who knooooows. i'm nineteen years old, in my freshman year of college, and honestly games like last moon/Impressive Title give me a lot of nostalgia lmao. i like to write stories and design characters for aesthetic purposes, i do a lot of art, and i do a lot,,,, of roleplaying oops. you guys can see me slipping into roleplays or just messing around on the game. i'm usually on my character weiss, since she's going to be my aesthetic outlet (if you've not guessed, i quite like RWBY so feel free to talk to me about that).